Prairie Village and Mission Just Approved LGBTQ Protections. What Cities Are Next? Mission residents and business owners in the audience respond to the passing of a nondiscrimination ordinance to extend legal protections to their LGBTQ neighbors and city employees Wednesday December 19, 2018. In the end, the votes weren't close. About a week before Christmas, the Prairie Village City Council uanimously approved an ordinance barring discrimination in employment, housing, and public accommodations based on sexual orientation and gender identity. Two nights later, the Mission City Council approved a similar ordinance 7-1. Brett Hoedl, with the Metro Kansas City chapter of the nonprofit LGBTQ advocacy group Equality Kansas, helped spearhead efforts to lobby both cities for the protections and attended the meetings when they were finally approved. "It was overwhelming. The applause was loud and long. It was awesome," he said. While Hoedl celebrated those victories, he was also turning his attention to the future. Merriam has also recently debated its own non-discrimination ordinance covering sexual orientation and gender identity and could vote on it as soon as January. And Hoedl said residents in Lenexa, Olathe, Overland Park and Shawnee, have started pressing their local governments to take up the issue. "I think having these cities in northeast Johnson County was key to having the debate start," he said. "But I don't think it's going to slow down." LGBTQ advocates say the recent spate of non-discrimination ordinances in Johnson County is unlikely to stay confined to suburban Kansas City. "I don't look at what is happening in the Kansas City area as unique or something that stands by itself," said Tom Witt, the Wichita-based director of Equality Kansas. "It's a statewide project." Mission's Ward II Councilmember Arcie Rothrock (left) and Mayor Ron Appletoft during the Mission city council meeting on Wednesday December 19, 2018. Roeland Park became the first Kansas city in the metro to approve protections for LGBTQ residents in 2014. Earlier this year, the Unified Government of Wyandotte County and Kansas City, Kansas, followed suit. Lawrence and Manhattan also have such laws on the books. Before that, Hutchinson and Salina passed non-discrimination ordinances in 2012, but voters in both cities overturned the measures at the ballot box months later. Witt said his group's members in those cities are ready to go back and try again after the recent victories in Johnson County. "The vote to overturn in Salina in 2012 was closer than many expected," Witt said. "Since then, we've made a lot of progess in public awareness and perceptions about the need for equal treatement of LGBTQ people." Witt said there's more evidence to suggest other communities across Kansas would be open to the idea of adding formal protections for LGBTQ residents. He points out many school districts — some in small, rural towns — have quietly and uncontroversially enacted anti-bullying policies that explicitly include sexual orientation and gender identity. "In places you might find surprising, there is forward-thinking leadership," he said. "In these communities, a lot of people recognize their LGBT neighbors deserve the same protections they have." Even as more local governments debate and adopt protections for LGBTQ people, the likelihood that lawmakers in Topeka will add such protections to state law remains distant. Sen. Mary Pilcher Cook, a Republican from Lenexa, has been a vocal opponent of the non-discrimination measures approved in Johnson County in recent weeks. She sees them as a threat to religious freedom. In a response to questions emailed to KCUR, Pilcher-Cook said the new ordinances "threaten citizens with lawsuits if they hold different beliefs about the nature of human sexuality." 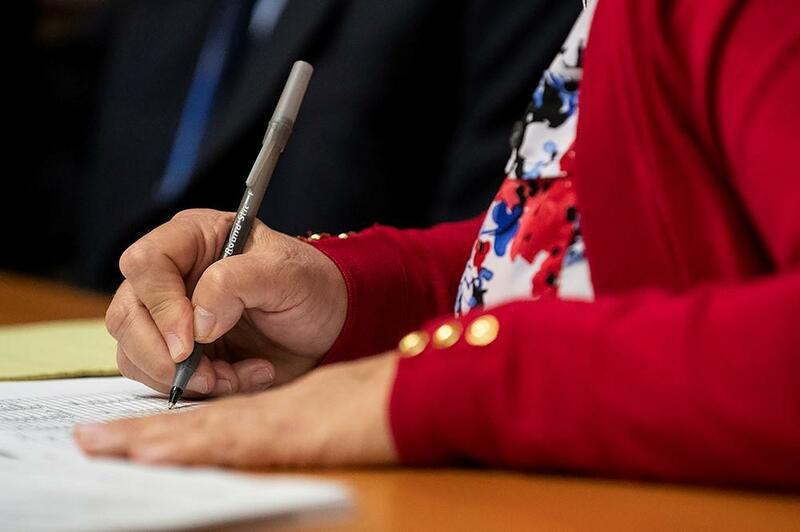 In turn, she wrote that there would be "steep opposition" from her and much of the rest of the Republican-dominated state legislature if lawmakers were to take up the issue during the 2019 session. "As these ordinances are passed, I am hopeful the public will become more aware about how their fundamental liberty to think and act according to their values is being violated," she wrote. Still, others look at recent political changes in Kansas and see signs of hope. Democratic Gov.-elect Laura Kelly has vowed to reinstate non-discrimination protections for LGBTQ state workers that had been rolled back by former Gov. Sam Brownback in 2015. Likewise, some point to the election of Sharice Davids, who will be the first-ever LGBTQ person to represent Kansas in Congress, as a sign attitudes in the state are shifting. Logan Casey, a policy researcher with the Movement Advancement Project, which tracks state- and local-level policies that affect LGBTQ people, said Kansas mirrors other states that are exhibiting changes in public opinion. "There is huge support nearly everywhere for the basic idea that you shouldn't be fired for who you are or denied acces to a home or apartment because of who you are," Casey said. Currently, 21 states and Washington, D.C., protect LGBTQ people in employment and housing. And Casey said several states that don't are starting to have debates because of the increasing prevalance of local non-discrmination ordinances. "As more towns pass these, I think there will be a threshold reached. It will become evident to state officials that this is something that can be supported by consituents," he said. For Brett Hoedl in Johnson County, that threshold already appears within reach. He said after Prairie Village and Mission's recent moves to pass protections in their cities, residents in nearby municipalities see what's possible. "People aren't going to quiet down now. We need local action, and we intend to make our cities know that." Kyle Palmer is KCUR's morning newscaster. You can follow him on Twitter @kcurkyle. Prairie Village City Council members debated the wisdom and scope of an LGBTQ non-discrimination ordinance and ultimately voted unanimously Monday night for a broader ordinance than it originally contemplated. The suburban council took action where state and federal law hasn’t yet reached — barring discrimination based on sexual orientation or gender identity by the city, landlords and any business offering services to the public. After months of debate and a second vote, the Roeland Park, Kan., city council approved an anti-discrimination ban, granting equal protection regardless of sexual orientation or gender identity. 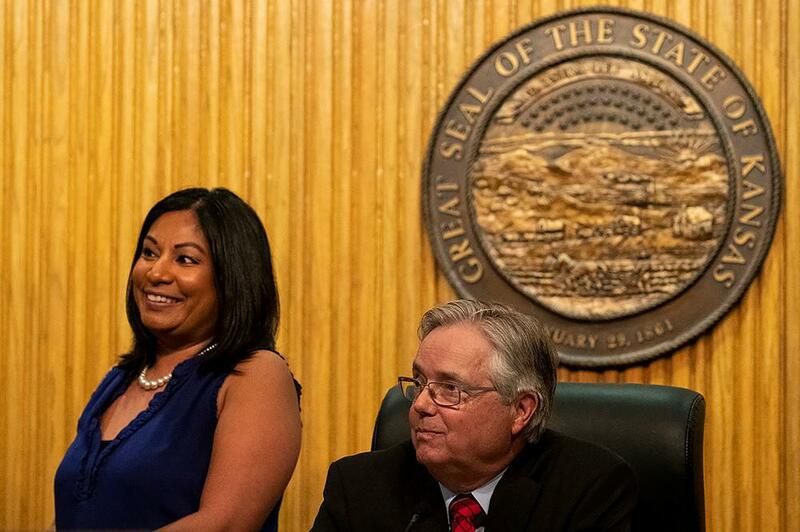 In July, council member Beck Fast missed the vote, saying she was in a car accident. The ordinance lost by a 4-3 vote. Fast was present for the vote Monday evening and tied the vote at 4-4. Roeland Park Mayor Joel Marquardt broke the tie and passed the ordinance. The Missouri Supreme Court is expected to decide within months whether state law prohibits discrimination based on sexual orientation or gender identity. But the American Civil Liberties Union alleges in a lawsuit that the Missouri Commission on Human Rights has determined that LGBTQ people are not protected.